PEACE AND QUIET! SPACIOUS 4 BEDROOM, 3 BATH HOME WITH 2 MASTER BEDROOMS, ONE AT EACH END OT THE HOUSE ON 4.81 FENCED ACRES IN AGRICULTURAL AREA WITH IRRIGATION SYSTEM. SOLAR POWERED DRIVE-THRU ENTRY GATE FOR PERSONAL USE. MANUEL ENTRY GATE FOR AGRICULTURAL USE. 6 MILES TO WALMART AND THE TURNPIKE. CLOSED ROAD. 4+ ACRES OF MATURE LONGANS, INCOME PRODUCING $20K+ FOR THE PAST 4 YEARS, RECORDS AVAILABLE. ALSO SEVERAL OTHER FRUIT TREES. LARGE OPEN KITCHEN, FAMILY ROOM AND LIVING AREA. NEW ROOF AND AC. THIS GORGEOUS HOME LOOKS LIKE A MODEL & BETTER THAN NEW. 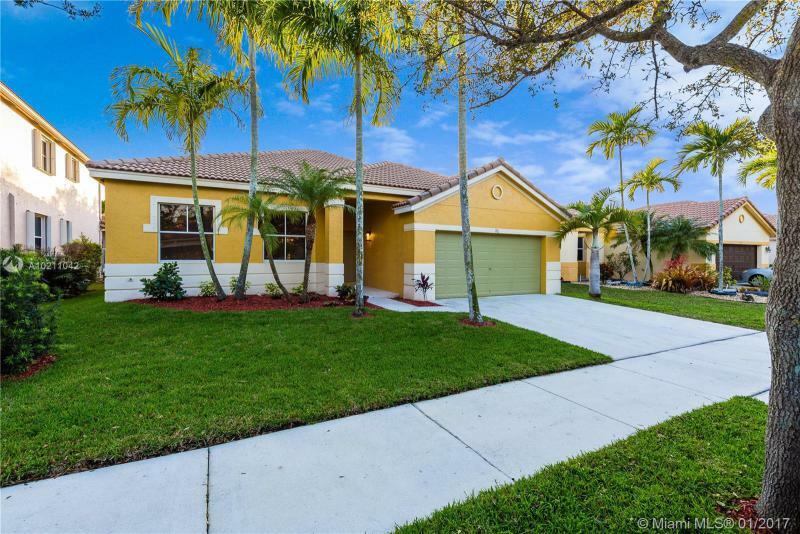 THIS 2 STORIES IMMACULATE POOL HOME INCLUDE: 4 BEDROOMS,3 BATHROOMS & 1/2 BATH,COVERED TERRACE,GAZEBO,COMPLETELY FENCED IN,PAVED PATIO INCLUDING POOL DECK WITH CHILD GUARD PROTECTION POOL,2 CAR GARAGE,UPSTAIRS MASTER SUITE WITH HIS & HERS WALKING CLOSET AND STATE OF THE ART MASTER BATH,ONE BEDROOM IS LOCATED DOWNSTAIRS WITH A FULL BATHROOM FOR YOUR CONVENIENCE. MAJESTIC STAIRCASE,GRANDEUR CATHEDRAL CEILINGS AS YOU WALK IN TO THIS HOME !!!! Estate living at its best. Renovated home in a secluded gated community. Newer roof, impact windows. New kitchen and baths. Huge 3 bedroom, 3 bath home with bonus office. Stunning floors, enormous master walk-in closet, large living room that opens to a private pool area, featuring lush landscaping. Fenced yard. Community has updated recreation center. Close to shopping, highways. PRICE ADJUSTMENT, VERY MOTIVATED SELLERS!!! Stunning 4 BR/ 2 BA home on a great sized corner lot, located in the Excellent and Prestigious Neighborhood.. Recent APPRAISAL on hand. Diamond Brite Pool with a huge deck for entertainment. 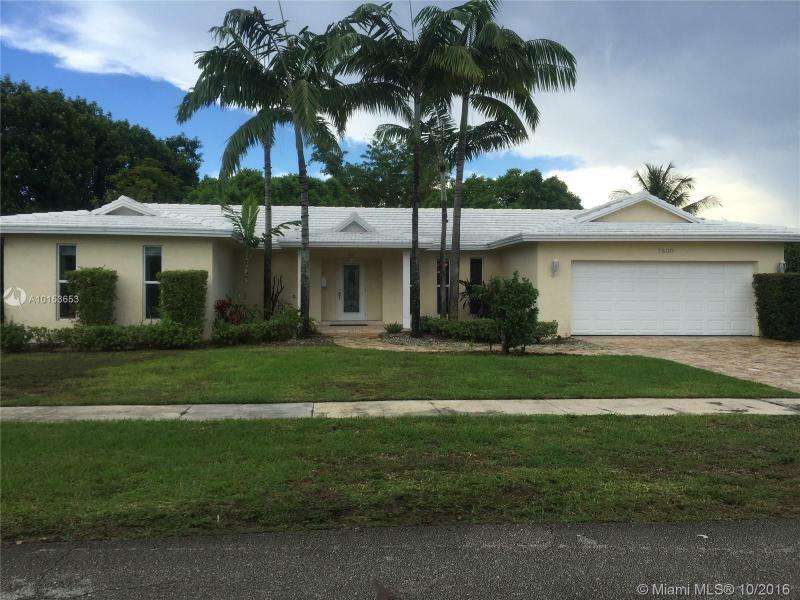 Totally remodeled Baths and Kitchen with Granite Countertops and Marble floors throughout. Built in bonus closets in the pantry and garage. Fourth bedroom is an additional library/office which can be reconverted to a bedroom. Perfect opportunity, take advantage today.